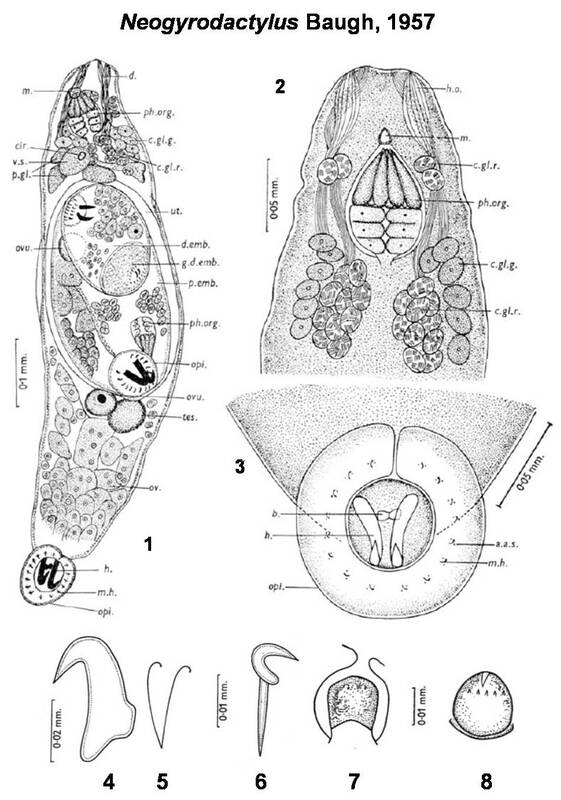 Baugh, S.C. (1957) On the morphology of Neogyrodactylus indicus n.g., n.sp., a viviparous monogenetic trematode (Fam. Gyrodactylidae) from Argulus indicus Weber. Parasitology, 47 (1-2), 40-45.